Mr Brian Davidson is to succeed Mr Mark Kent as Her Majesty’s Ambassador to the Kingdom of Thailand. 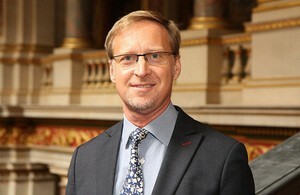 Mr Brian Davidson has been appointed Her Majesty’s Ambassador to the Kingdom of Thailand in succession to Mr Mark Kent, who will be transferring to another Diplomatic Service appointment. Mr Davidson will take up his appointment during September 2016.